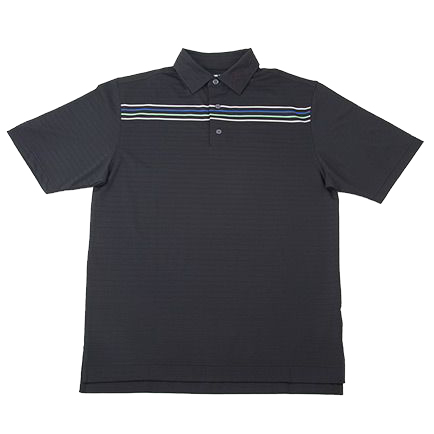 The Solid Texture polo from FootJoy is lightweight and moisture wicking and features SPF 30 protection for warmer days. 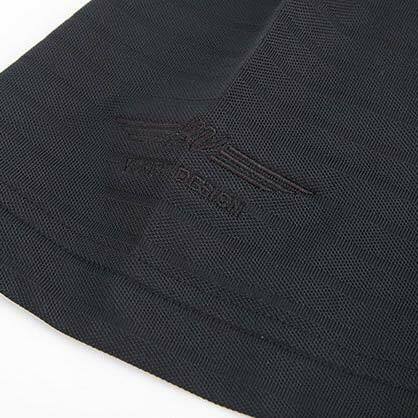 The material is a light pique with engineered black tonal stripes. 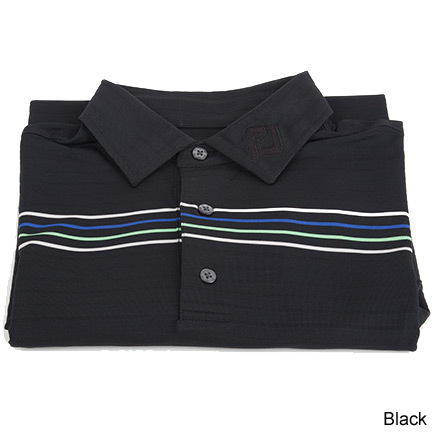 A color block mid chest and back includes white, royal blue and lime green stripes. 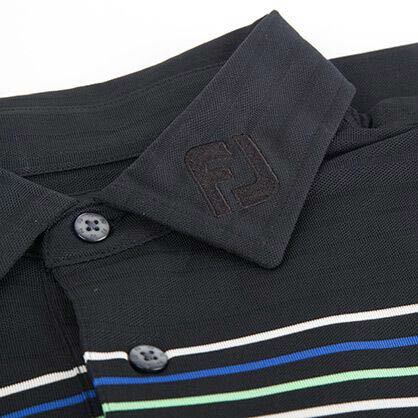 Embroidery includes black tonal BV Wings on the right sleeve and FJ logo on the left collar with an additional white FJ logo on the back yoke. Sizing is typical full cut FootJoy.